Surreal art galleries in Singapore and Spain, a mass grave site reserved for Turkey's coup plotters and more images from around the world. Visitors observe the sculpture "That Girl" by U.S. artist Paul McCarthy, at the Hyperrealist Sculpture 1973-2016 exhibition in the Museum of Bellas Artes in Bilbao, Spain. 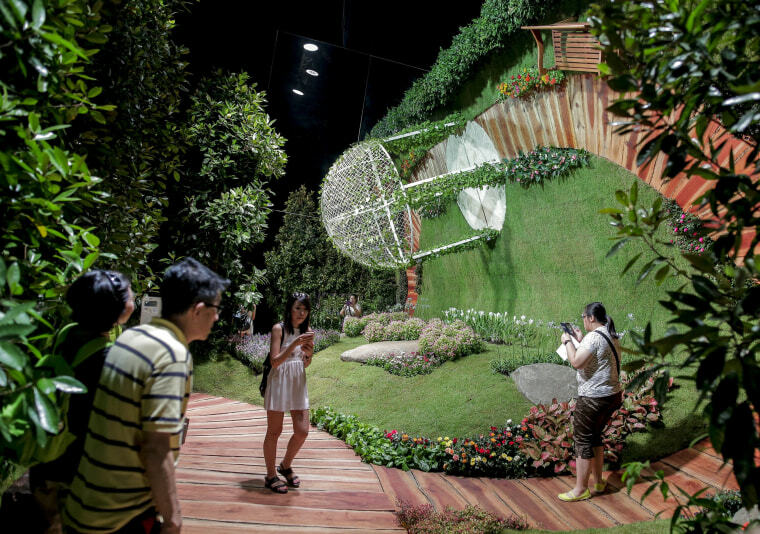 Visitors walk through an installation at the Singapore Garden Festival, which features landscape and floral designs from international and local florists, at the Gardens by the Bay in Singapore. 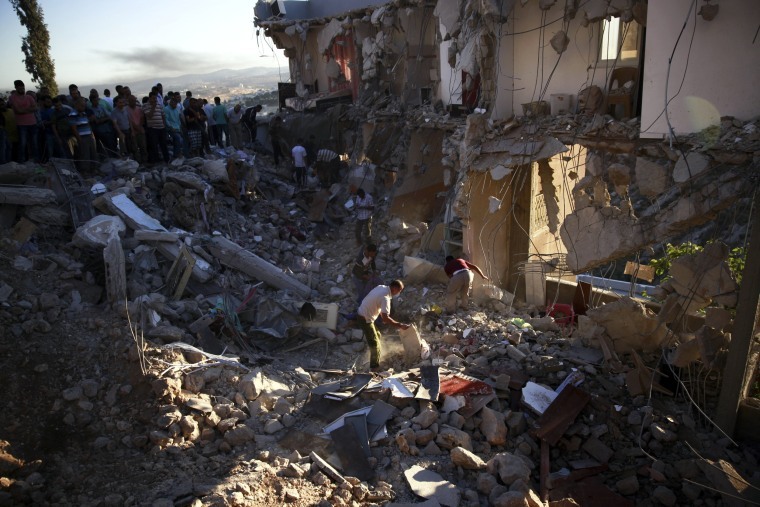 Palestinians stand around a house demolished after a shootout between the Israeli military and a group of Palestinians in the village of Surif, near Hebron, West Bank. Israeli forces tracked down a group of suspects behind the deadly ambush of a family car in the West Bank earlier this month. 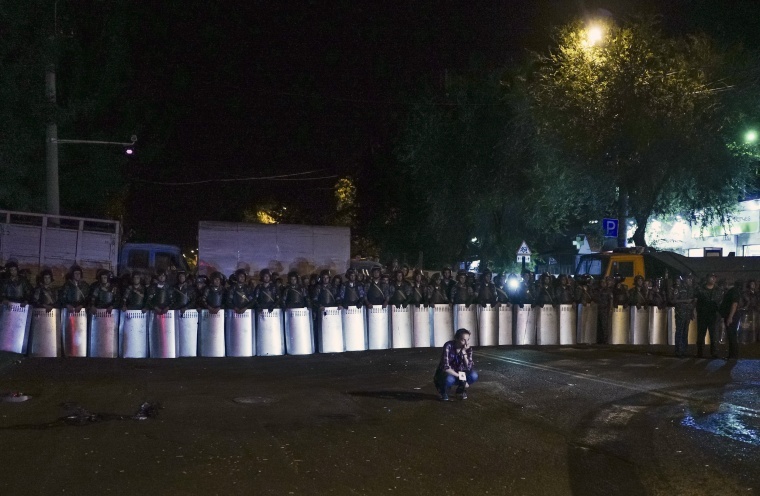 Riot police secure a police station, which is being held by an armed group, in Yerevan, Armenia. A spokesman for Armenia's police says two of the gunmen who have been holding a police station in the capital for more than a week have surrendered after an exchange of gunfire. Police spokesman Ashot Arahonyan says on Facebook that the gunfire began before dawn on Wednesday. 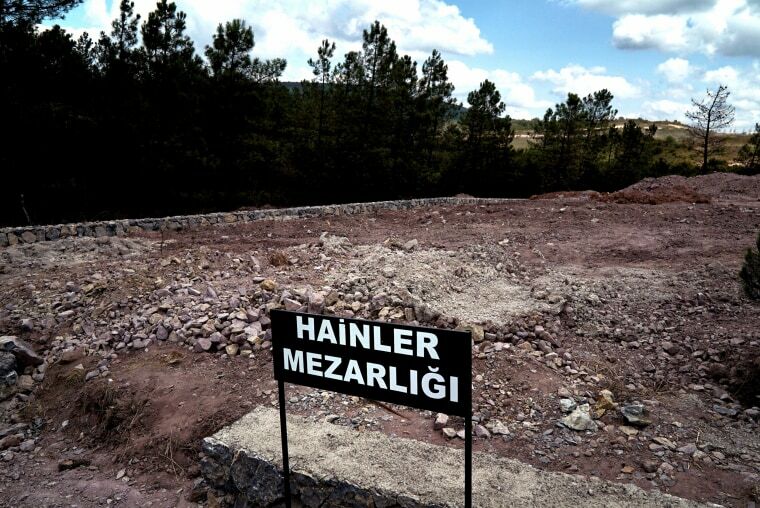 A sign reading in Turkish "Traitors' Cemetery" is seen in front of unmarked graves, built specifically to hold the bodies of coup plotters who died in the failed military coup of July 15, in eastern Istanbul. In the week following the attempted coup, the local municipality announced it intended to set up a cemetery specifically for those involved - traitors who didn't deserve a decent burial. 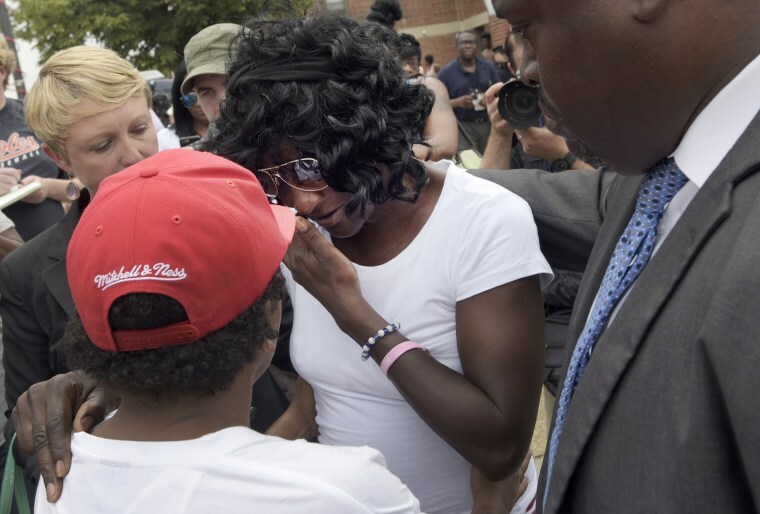 Gloria Darden the mother of Freddie Gray wipes away tears at a news conference held by Baltimore State Attorney Marilyn Mosby after prosecutors dropped remaining charges against the three Baltimore police officers who were awaiting trial in Gray's death, in Baltimore. The decision by prosecutors comes after a judge had already acquitted three of the six officers charged in the case. A group of folk dancers rehearse prior to the arrival of Pope Francis at the military airport in Krakow, Poland. Pope Francis is traveling to Poland to meet young Catholics from around the globe and visit the Auschwitz death camp and many Catholic places in this deeply religious nation. It will be the pope's first visit to central or Eastern Europe. 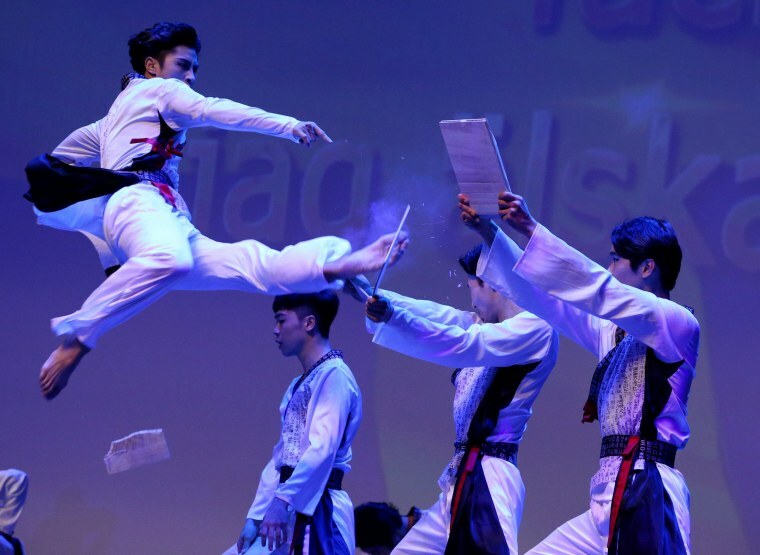 Members of the South Korean taekwondo team perform during the commemoration ceremony for the 63th anniversary of the Korea War Armistice Agreement and UN Forces Participation Day in Seoul, South Korea.